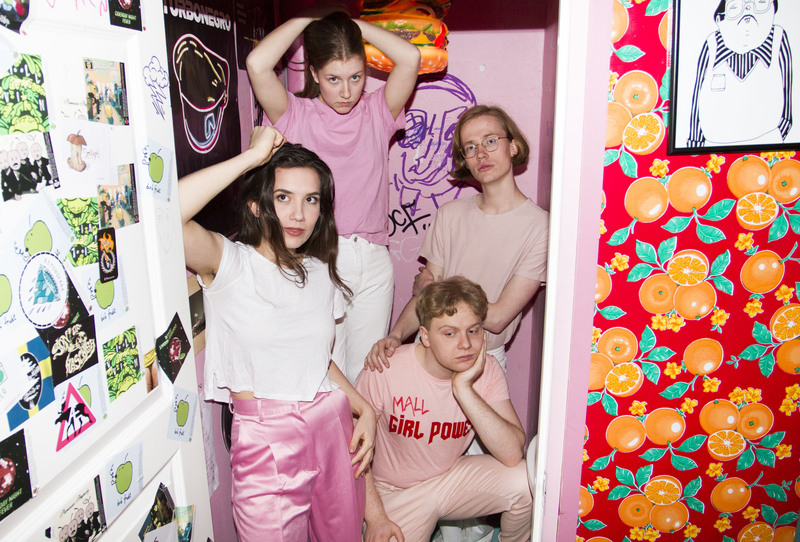 Mall Girl is a fresh and young Oslo band that has begun to establish themselves as one of the most exciting and promising bands on the the Norwegian pop scene. The band is inspired by everything from from 80s pop to math rock to indie. It all comes together in a playful expression and a liberating attitude towards making music. A lot has happened since their first concert in February. This summer they played at several festivals including Øyafestivalen, Livestock, Musikkfest, and Oslo jazz festival. The band has also created some buzz through their conceptual image and their energetic live show. The band includes a classic rock band line-up, with gitarist Iver Armand Tandsether, bass player Eskild Myrvoll bass, vocalist Bethany Forseth- Reichberg and drummer Veslemøy Narvesen. Despite the simple line-up, the band has a complex and exciting sound.